In a bid to sustain businesses in the downstream sector of Nigeria’s petroleum industry and grow capacity, the need for an efficient settlement system cannot be overemphasized. 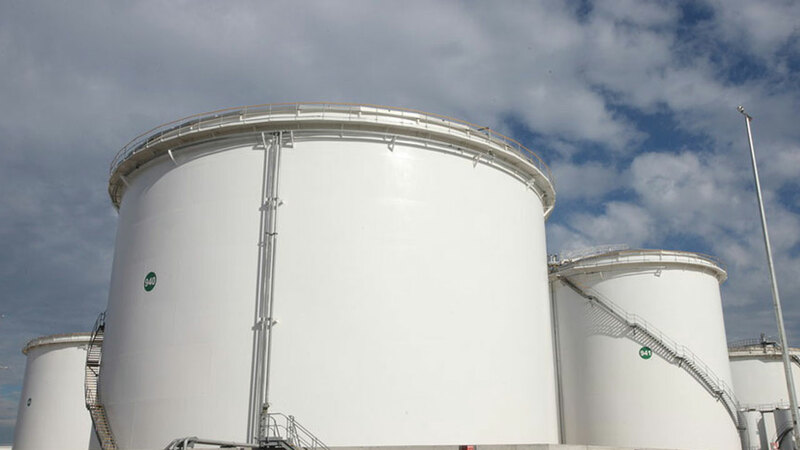 As of May this year, oil marketers raised the alarm over what they described as impending job losses in the downstream sector on account of debts owed them by the Federal Government. Then, they put the amount of subsidy arrears payable to them from government at N650 billion. They claimed that the payment of the sum would go a long way to reverse the gale of retrenchment sweeping across the sector and sustain their operations. 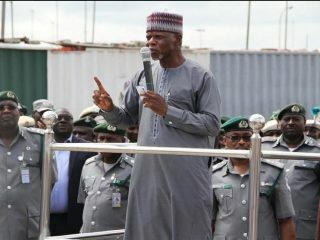 The marketers under the aegis of Major Oil Marketers Association of Nigeria (MOMAN), Independent Petroleum Marketers Association of Nigeria (IPMAN), Depot and Petroleum Products Marketers Association (DAPPMA) and Independent Petroleum Products Importers (IPPIs), maintained that the failure of the Federal Government to pay the money had negatively affected their operations, as many marketers had been forced out of business, while others are struggling to survive. They said the delay in settling the subsidy arrears was threatening investment in the downstream sector. It is no longer news that the Senate has approved the payment of N348 billion as outstanding subsidy claims to 74 petroleum marketers. Some of the oil marketing companies on the list were Oando, Total, Honey Well, Capital Oil, Conoil, A.A. Rano, Folawiyo, Eternal oil, Aiteo, Forte Oil, Bovas, Mobil, MRS Oil and Gas, among others. According to the Senate, the payment is to enable oil marketers update all outstanding liabilities and clear all debts, interest accrued and foreign exchange differentials. The approval was done after the Senate adopted the interim report of the Committee on Petroleum Downstream on the Promissory Note Programme and Bond Issuance to Settle Inherited Local Debts and Contractual Obligations to Petroleum Marketers. 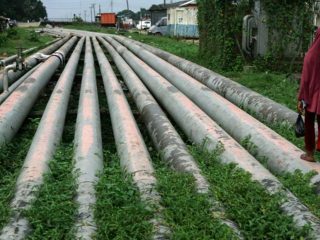 The General Secretary, Petroleum and Natural Gas Senior Staff Association of Nigeria (PENGASSAN), Lumumba Okugbawa, in a telephone interview, said there was a need for the Federal Government to reconcile the figures and make payment to marketers, so that their businesses and the industry at large do not suffer. “We need to revive this downstream sector, and the right things must be done. Marketers should tender the appropriate documents so that the reconciliation can be seamless,” Okugbawa stated. This challenge was what informed the setting up of an ad-hoc committee by the Senate to look into the promissory note and bond issuance programme and advice the Senate appropriately. The Senate, through the chairman of the committee, Kabiru Marafa, had admitted that the continuous delay of the approval of the promissory note request will affect the liquidity of the oil companies and undermine their crucial role in the development of the economy. Owing to unresolved documentary issues, the committee recommended that the 55 oil marketers be paid 100 per cent of their claims. The 55 oil marketers are to receive N276 billion while 19 others will get N73 billion. It also approved the payment of 65 per cent claims to some marketers due to irreconcilable differences. The PENGASSAN General Secretary was of the view that abridged payment of due subsidy arrears to oil marketers, had the capacity to hamper development of the downstream sector and put the system under unnecessary pressure. As of June 30, 2017, the Senate said marketers made claims to the tune of N670 billion; but the Petroleum Products Pricing Regulatory Agency (PPPRA) verified and approved the sum of N429 billion to the Federal Ministry of Finance. While the verified figure was approved by the Federal Executive Council, further verification by the Presidential Initiative on Continuous Audit (PICA) reduced the amount to N407 billion. With this development stirring more controversies, the Senate assured that the disagreements including the determination of the terminal date of the subsidy programme, amount to be paid to oil marketers and the interest accrued from June 30, 2017 to date, will be taken up and resolved in the final report. Meanwhile, the National Economic Council (NEC), comprising the 36 state governors, has threatened to take over the responsibility of subsidising petroleum products in their states based on consumption following the huge amount of money being spent by the NNPC as petrol subsidy payment annually. The Chairman of Governors’ Forum, Abdulazeez Yari of Zamfara State, had said the governors would in June (last month),take decision on whether to take responsibility for the subsidy in their states or not (but the forum had yet to follow up on this till date). Yari called on NEC to decide whether to allow NNPC to continue with the payment or not, saying; “Our problem is the volume, the quantity of consumption which is not acceptable. Working with the governors, so many decisions were taken but by next month, we are going to adopt that position either for the governors to take responsibility for the subsidy in their states based on the consumption or we look at other ways. Amid these controversies, the NNPC says it is Federal Government that is paying subsidy on petrol and not the corporation. The Chairman, Strides Group, owners of Strides Energy & Maritime Limited, Mr. Moritz Abazie, insisted that investment potentials and security of the nation’s oil and gas sector was still locked down in the Petroleum Industry Governance Bill, which had yet to be signed into law. According to him, the first section of the bill, which dwells on the management of the NNPC, remained a good development. 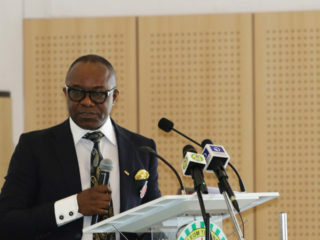 Abazie said: “When this bill is signed into law, its implementation will see to the unbundling of NNPC to create four new entities aimed at improving efficiency and transparency in management. MOMAN, in a response to questions from The Guardian on Monday, thanked the Senate while appreciating the progress made by the Senate in approving the partial payment of the outstanding debt owed to petroleum marketers. But the association stressed: “We are hopeful that payment will be made soon by the government and the balance will receive speedy consideration. The banks’ credit quota for sector is used up; leaving the marketers with little or no access to credit or working capital; From a risk management perspective, lending to the sector by banks is perceived as risky and is therefore costly (higher interest rates). “Also recall that the figures approved were validated by PICA as at the 30th of June, 2017. This debt (which still needs to be fully recovered and repaid to the banks) will rise further as the banks have continued to charge the expectedly high interest rates for another year up to date. “We are in a situation where the NNPC is the sole importer of products not only due to the high cost or unavailability of credit to marketers but also because marketers cannot import due to the price differential (the landing costs vs. sales price). MOMAN, thus, called for a workable business model, which must sufficiently remunerate the different operational activities along the supply chain. It also called for funding of necessary investments in the industry or upgrading of industry facilities and equipment such as refineries, pipelines, depots, roads, transportation mediums (trucks and vessels), and filling stations, among others. The Minister of Finance, Mrs. Kemi Adeosun, earlier in the year, said there would not be further payment of fuel subsidy to marketers as the NNPC bears the loss of fuel importation on behalf of all Nigerians. According to her, the NNPC was presently doing all the importation of Premium Motor Spirit (PMS) and hence “there is no subsidy but rather under recovery’’. She stated, “So for every time we get excited that the oil price is going up, there is also a knock-on effect on the price of imported PMS and that is a function of us not having refining capacity, it is one of the unfortunate impacts of that.